This is a new meal of Cornbread. Open for Business is required, as well as high cooking skill for your sims. 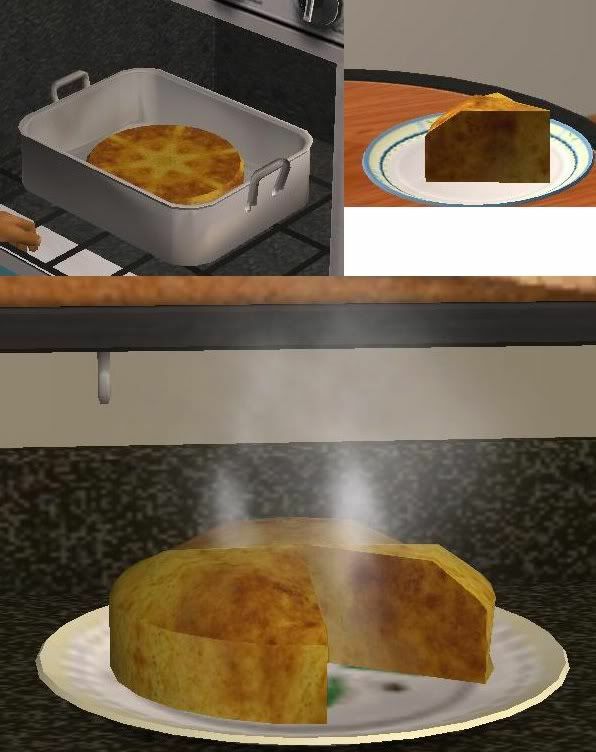 It's found in a new pie menu in your sim's fridge Have a Meal.../ or Serve a Meal.../Cornbread. Enjoy! Looks so good. I miss cornbread. They don't have the good Southern Cornmeal here.